Pink Castle Blog: Cotton+Steel Trading Cards. Collect Them All And Win BIG! Cotton+Steel Trading Cards. Collect Them All And Win BIG! Cotton+Steel is one of the most anticipated (and well guarded!) lines of 2014...even we haven't seen it yet! But we've been given some hints, and now we're able to share them with you! Only at Pink Castle Fabrics, while supplies last, with every purchase of $25 or more you'll receive a beautiful, exclusive Cotton+Steel postcard. These collectors' items offer a peek into the minds of designers Sarah Watts, Kimberly Kight, Melody Miller, Alexia Marcelle Abegg, and Rashida Coleman Hale. 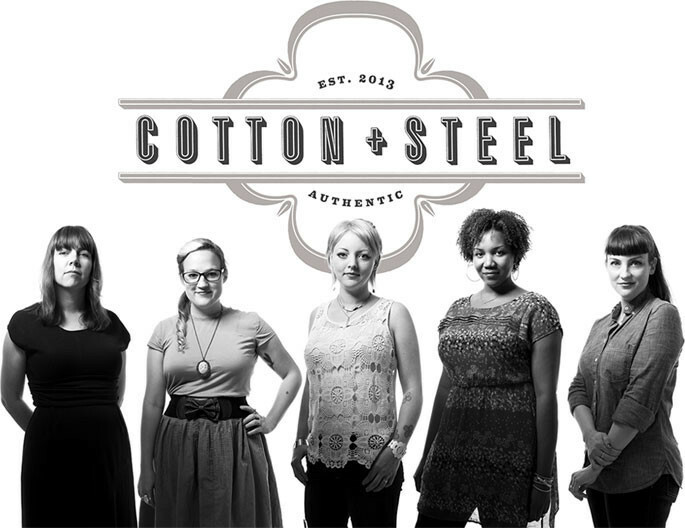 Each of these amazing women brings their own unique style to the Cotton+Steel line, and now you can see what inspired them. There are five cards in all, and each is a work of art intended to bring a little Cotton+Steel into your life right now, before arriving in full in July. And here's the really great part: We're giving away Cotton+Steel to one lucky Pink Castle customer! That's every regular cotton print and blender, more than 100 fat quarters valued at over $250, and it can be yours. How? 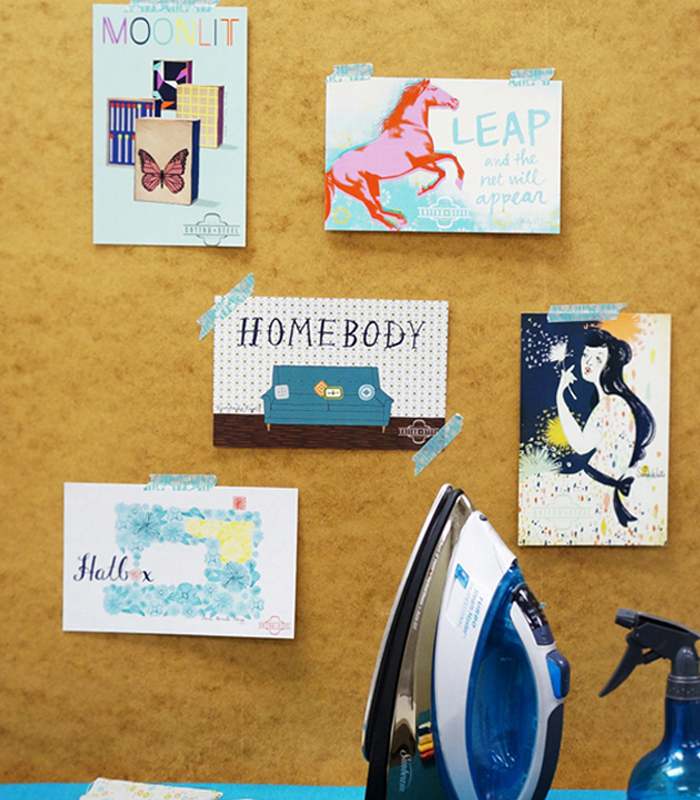 Just collect all five postcards, then send us an email at admin@pinkcastlefabrics.com showing them displayed in your sewing area and you'll be entered into the grand prize drawing. The winner will be announced in June to celebrate the launch of Cotton+Steel! Qualifying orders are for in-stock merchandise only. Cards are limited to one per order and are always chosen at random. No one card is more rare than any other. To help you find the ones you need, use our hashtag #pinkcastletradingcards on Instagram and all your social media! And keep an eye on theCotton+Steel Instagram, Pink Castle Fabrics blog, and our Facebook page too, where you can always connect with other Pink Castle customers! And the Cotton+Steel goodness doesn't end there! Right now you can pre-order Cotton+Steel bundles from Pink Castle Fabrics. We expect these to fly off the shelves so don't miss out!